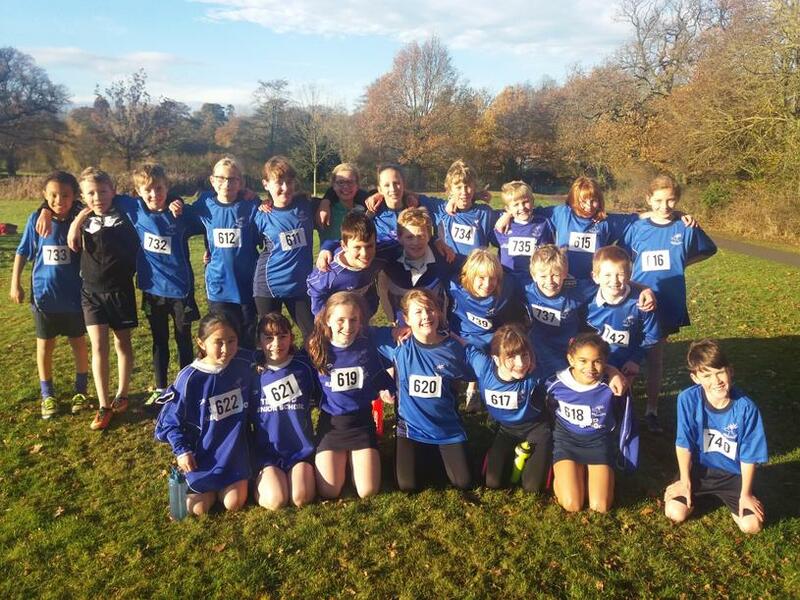 Some of our fantastic cross country team! 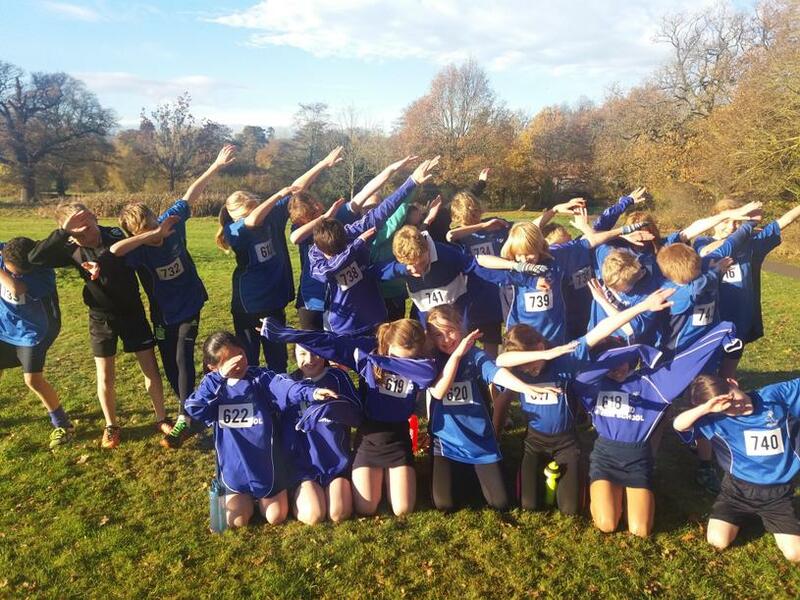 Yet again, the Telford Cross Country Team's have worked very hard and demonstrated some excellent performances n the cross country courses . We are very proud of all the of the children that have taken part this season. Every Autumn term some very dedicated children (and parents and teachers!!!) attend some cross country events at different locations around the local area. There are four league matches for the children to attend. Each course that they run is approx. a mile and a quarter. They all take place on a Saturday morning and the parents bring the children to the events. We ask the children, if they can, to get there at 9.45 a.m., so we can register the team and we can walk the course, so they know where they are going! The girls race starts at 10.30 a.m. and the boys at 11.00 a.m. When all the results have been collected in and counted, at approx. 11.45 a.m., the results are shared with all the teams and the top 20 boys and girls from each race are given certificates. On the final race, at Priory Park in Warwick, we all meet together at St Marys' Primary School for the end results. It is really worth staying to this event if you can. 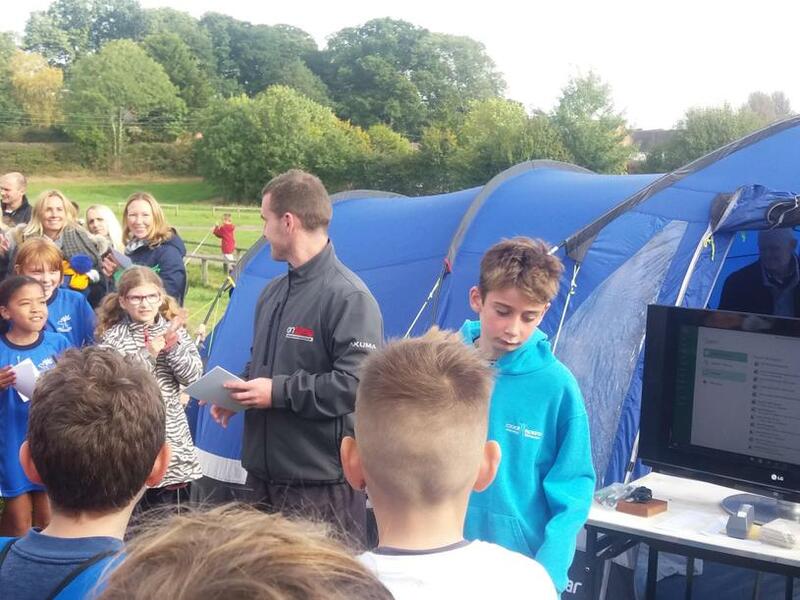 At this event lots of medals and trophies are handed out, not only for the team winners, but for also for the top boys and girls individuals and for improvers! For the first league match the children run round the school field, they have to do two laps. The children learn how to start the race with about 100 children on the start line and also how to finish, by running in to the tunnels. The Telford Team did brilliantly and you could see how much effort they were putting into the run. The final result had the boys and girls team holding first position, which is fantastic! We had lots of children in the top 20, so also lots of certificates. The children were very excited and also a little nervous, but again they have done brilliantly. The boys came second, missing out by just one point on first. The girls achieved first for the second week running. Both teams are still holding first position overall - Great Job!!!! Returning again to Priorsfield, the children have lots of challenges for this run. There are some fields to run around, but also it's time to get wet, as there is a stream to run through! Don't worry though, there are always some helpers to get you through safely. However, it can be useful to bring a towel! What an event!! 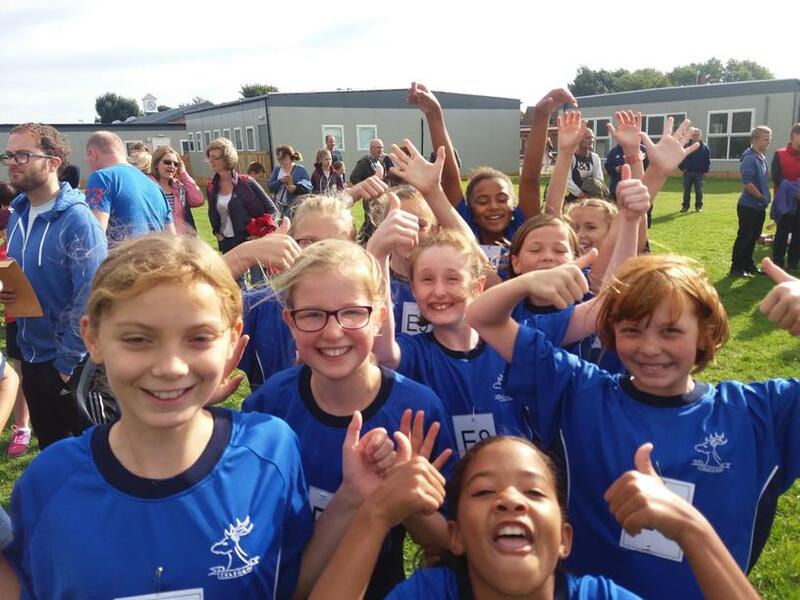 Firstly we are so proud of all the children who attended this cross country event. They did brilliantly and had fantastic attitudes though out. It was very, very wet and muddy, with the children having to run through two brooks. This is a very difficult event, with the children running over different terrains. Overall, both teams were just knocked into second on the day but the girls team is still running first and the boys are now drawing for first place. Excellent work! At the final event, it's all change again and a new experience. The children now have to run a hill and the down the other side....twice! But it a slightly shorter course! 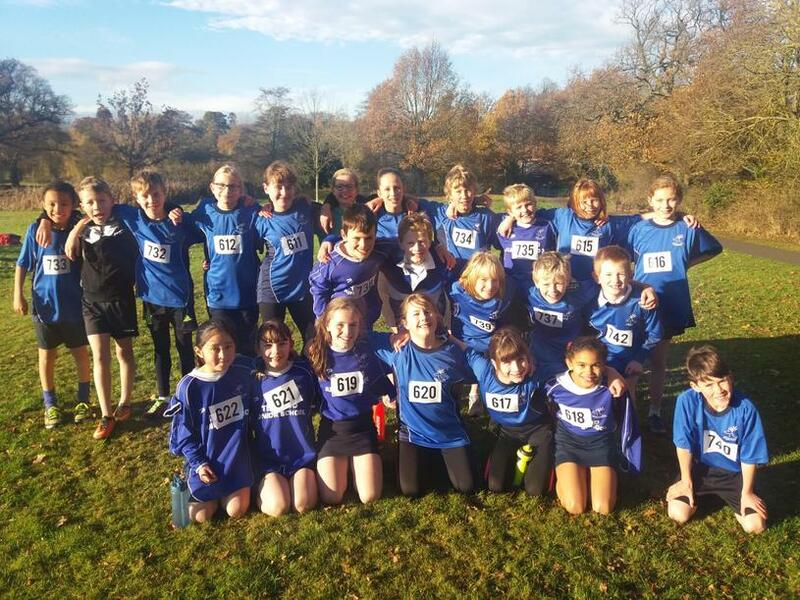 In March the children from Years 5 and 6 are invited to the Cross Country Championships. From this the top 20 children are selected to go through to the County Championships. Each year all the children take part in a cross country race on our school field. The children all tried their best and the final boy and girl winners from each year group are shown below. The children were presented with their certificates in assembly. Well done to them and to all the children who took part.